Cricketer Haris Sohail Feel Supernatural Presence in Christchurch Hotel Room. Haris Sohail was born on 9 January 1989. Haris Sohail made his debut in Pakistan vs. West Indies in July 2013. He is in team for his batting but after Mohammad Hafeez bowling action is suspended from international cricket Haris Sohail take his place in bowling and became good all rounder for Pakistan, he bowls pretty well against new Zealand. Haris Sohail is one of those players who are giving counties good performance in domestic cricket. He started his first-class career in Karachi in way back in 2007. but he established himself after 3 years in 2010-11 season, 12 first-class games he score 654 runs including his personal best of 211. Haris Sohail has learned a lot while playing for Sialkot under the captaincy of Shoaib Malik; he gives him proper chance to prove himself. He scores more than 1000 runs in 2011 season. That season performances gave him an opportunity to face England in a tour match in the UAE. A few months later, he was called up to the Pakistan side for the T20s in Sri Lanka in 2012. He recently was able to impress the spectators with his blistering performance against New Zealand in 2014. His partnership with Afridi was crucial in Pakistan’s victory. Consistent performance with both bowl and bat has booked his place in the upcoming World Cup 2015 squad. Find Haris Sohail profile and stats of batting, bowling and fielding including latest updated news of Haris Sohail, videos and images at Hamariweb.com. Also find detail Player profile and career statistics of Haris Sohail of Pakistan. Find Haris Sohail profile and stats of batting, bowling and fielding including latest updated news of Haris Sohail, videos and images at Hamariweb.com. Also find detail Player profile and career statistics of Haris Sohail of Pakistan. 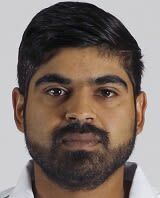 Find Haris Sohail profile and stats of batting, bowling and fielding including latest updated news of Haris Sohail, videos and images at Hamariweb.com. Also find detail Player profile and career statistics of Haris Sohail of Pakistan. Anybody knows new updates on Haris's injury? I liked the performance of Haris Sohail but I am disappointed by the Board people who dint selected him in the world cup of 2015. Haris Sohail the talented batsman i dont understand why they are talking him as a regular bowler play him as a part time bowler. 2015 seems to be lucky for Haris Sohail in this year he got married and also got selection in world cup 2015..
Haris Sohail will play all the world cup if he scores or not he will play the whole world cup. he is good decent batsman but they are giving him extra burden by giving full 10 overs. Haris Sohail should come front and show his talent he is good player and should be given complete opportunity to polish his skills further more. Haris Sohail a huge find before world cup for Pakistan. he will definitely take place of hafeez and afridi in this side. i want him to play good in this world cup and play his part. haris sohail is a very good find for pakistan team he will take place of afridi in this side. Deserve to b in the team..Rather than farhat,malik,shafiq,hafeez and kamran..
Haris Sohail - Find Haris Sohail of Pakistan Cricket Team complete player profile, number of matches, runs score, wickets & catches, Statistics, Records, Haris Sohail Latest News, Haris Sohail Videos, Haris Sohail Photos, and other Haris Sohail Cricket Team players.